1. The tapered rubber amplifier/cab feet have a through the hole and an inserted screw location for mounting with screws (screws NOT included). 2. 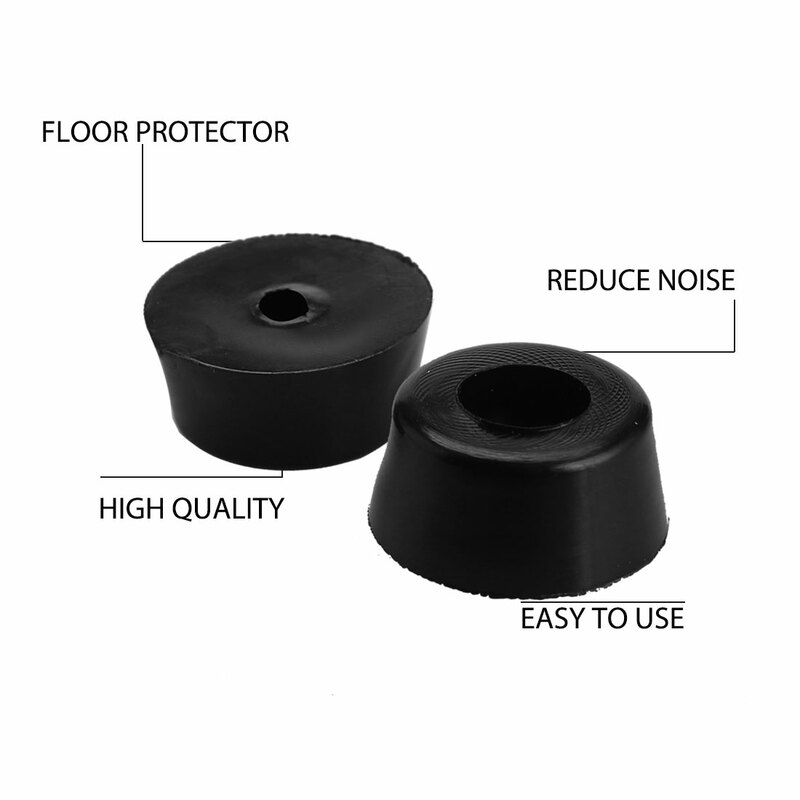 The rubber feet can protect your beautiful hardwood, ceramic tile and linoleum floors from scratches and save your furniture feet. 3. The rubber feet bumper are used for the cutting board, furniture, instruments, display shelf, machinery equipment, experimental. 3.WATER RESISTANCE - The rubber feet bumper can keep it out of the water, so that water can not enter the inner of the furniture.